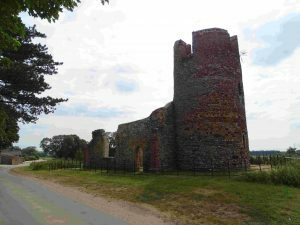 We are in Norfolk – staying at Gayton. 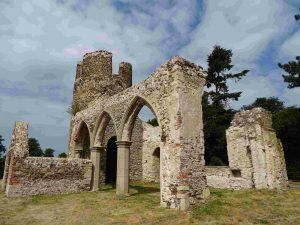 There are lots of churches in Norfolk, so I could blog to my heart’s content. 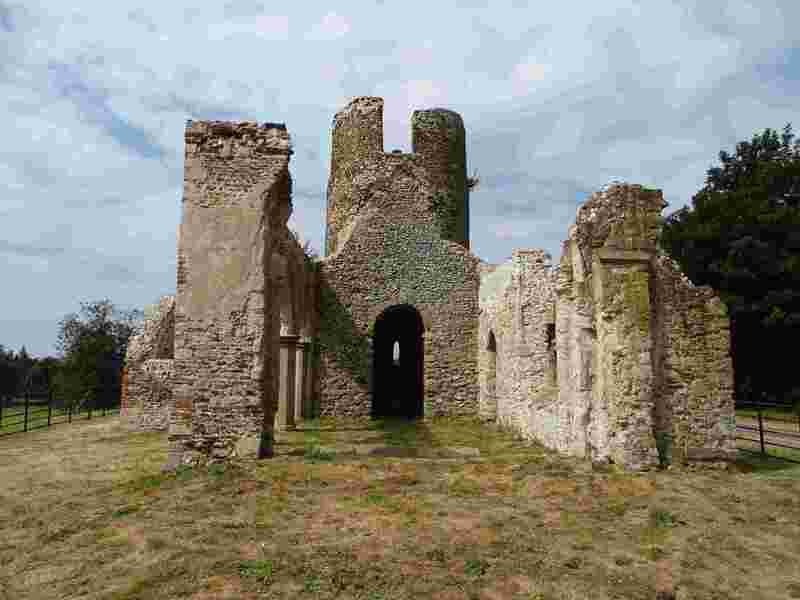 I’ll start with a derelict one! On Sunday 8 July Julie wanted to visit the Lavender Farm at Heacham. Julie likes lavender. Peter knows when he is beaten. We drove north towards Sandringham, and saw a ruined church just off the B1440 on the right – grid ref TF 706273. It is next to Appleton Farm, and there were no display boards or information. I looked it up later. For any Norfolk or Suffolk churches you start with the work of Simon Knott – website. 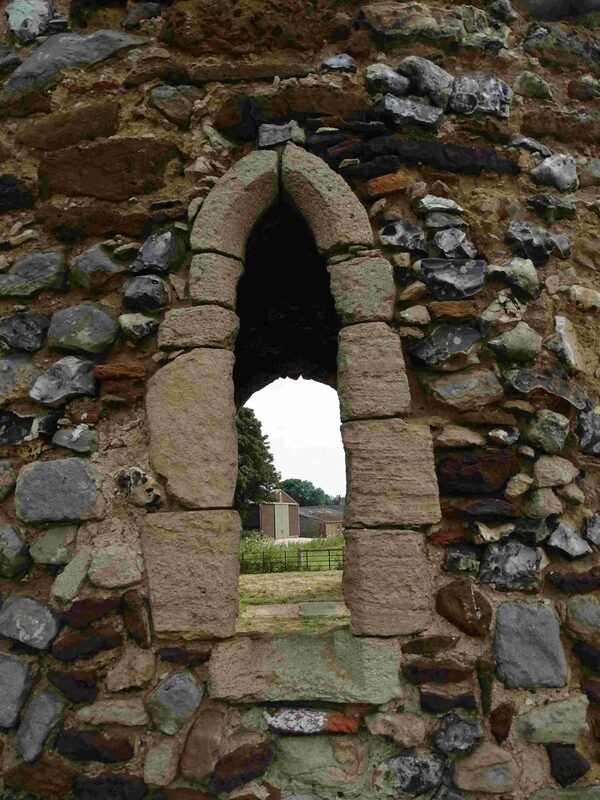 There were only 25 residents by the middle of the C18, and the church was in ruins long before that. The manor house had burned down in 1707. 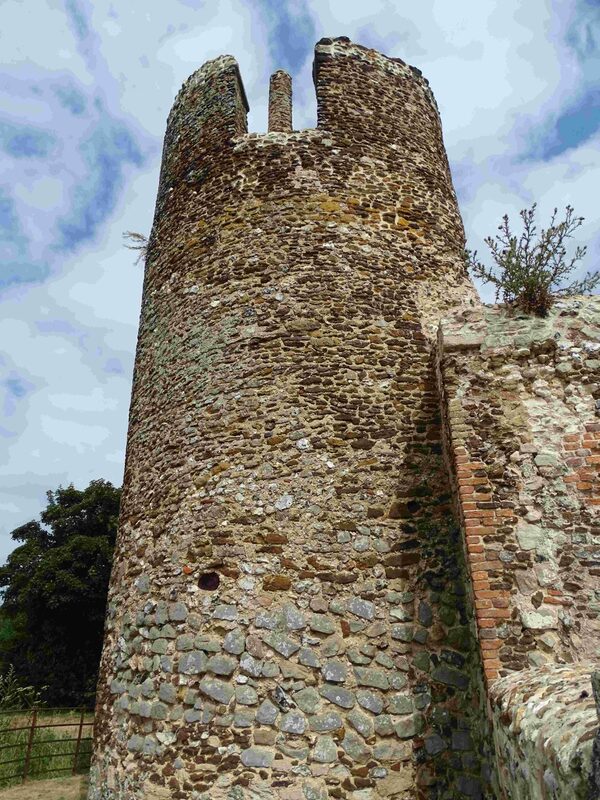 It is a round-towered church, and that probably dates to around 1000 AD, so early Saxon. 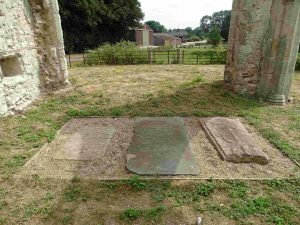 Three graves – including one for Agnes Paston. I know there’s some Paston letters, and there’s details of this part of Norfolk history here. How Agnes fits in, I have no idea. It felt a very peaceful place on a beautiful Sunday morning. (I liked the Lavender Farm too, but that’s another story).